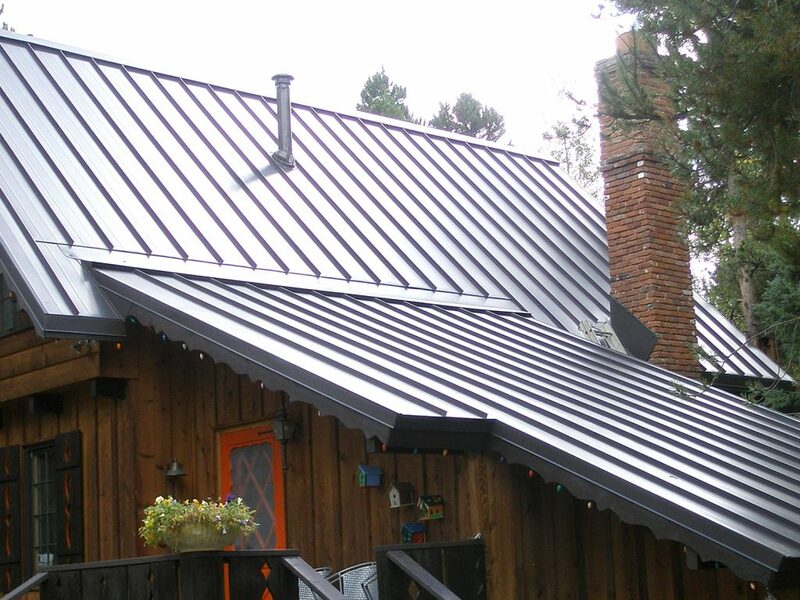 Standing seam is the premier choice for metal roofing. It is also the most expensive; around two to three times the cost of corrugated metal panels (and asphalt shingles), and about 20% to 30% above metal shingles. G-90 Galvanized Steel is the most popular or most-often used option for residential standing seam roofs. The “G” here refers to the amount of the zinc plating, as in .90oz per square foot. While technically, aluminum is more expensive than steel, the reality is the costs aren’t noticeably different when considering what is being sold to homeowners by quality contractors. If the materials were not coated and not finished with factory painting, then perhaps the higher cost of aluminum would be something of note. In the current market, they are virtually the same cost. Standing seam metal panels and trim will cost between $3.50 and $5.50 per sq. ft. for made-to-order (custom fabricated) metal panels, depending on the overall order size, location, and supplier relationship. In terms of metal quality and thickness a 26 or 24 gauge Galvalume steel would be a better and a longer lasting option compared to G-90 galvanized steel, especially near the ocean. A qualified contractor will likely have real metal samples, a brochure or catalog to show off all the possibilities for what’s available. They’ll provide all the information that backs up their work. And, if going with the national average, their prices will normally fall in the range of $9.00 to $12.00 per sq. ft. to install the system on a typical house. Depending on your location, it can be tough to find a specialist roofing contractor that installs Standing Seam, but even more challenging is finding a pro that does it well. Installation costs do take into account a number of factors, such as: how exactly will the panels be connected, what are some of the existing roof needs to address (i.e. attic insulation and ventilation, the tear off and disposal of the old roof, etc. ), what are the options in terms of metals/alloys, colors and gauge or thickness of the material, whether the installer is properly insured, and whether or not any meaningful labor warranties are being offered. Unlike Metal Shingles, Standing Seam roofs make no attempt to mimic the appearance of other roofing options. Did you know? Standing Seam is a unique roofing style in its own right. To some, it can appear rather plain, with its sleek vertical seams and simple panels that go from the roof ridge line the eaves. It’s really a well orchestrated roofing system. And given that color options are virtually unlimited, the beauty of standing seam is certainly in the eye of the beholder. 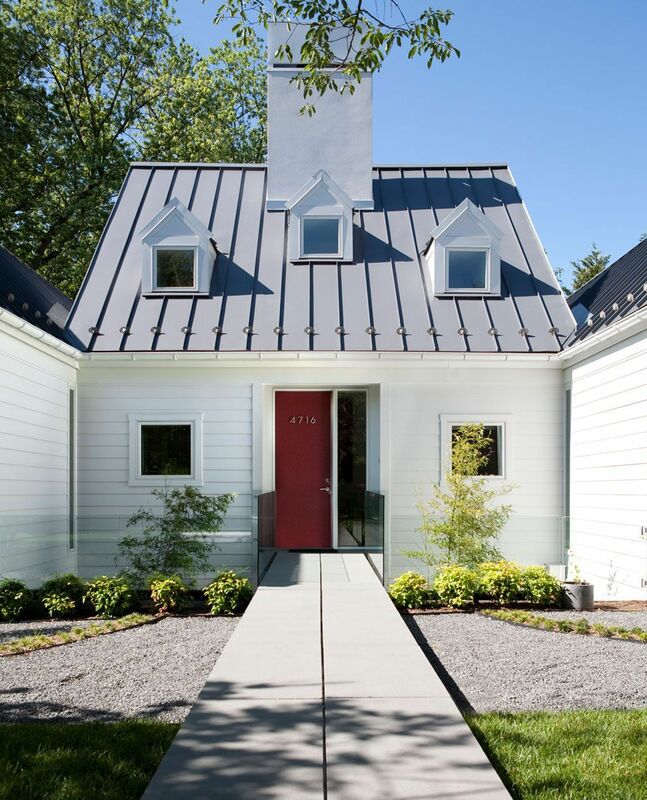 Country and Contemporary homes are ideal choices for Standing Seam. The most important aspect of this style of roof is in the name, the way it handles seams. Except for monolithic roofs, usually found on structures or homes with a flat top, all roofs will have seams. — This is where the material overlaps with itself or with parts of the roof that aren’t covered, but are sealed. Well, that’s the hope at least. Over time, and mainly due to weather all efforts to seal will eventually fail. The good news is that a quality, professional roofing installer can delay that process with proper installation. And the wise homeowner can engage in ongoing maintenance to ensure proper sealing for the length of the material. Standing seam is likely to last a long time. 50 years is within reason, depending on the kind of metal. On most roofing systems, such as wood, or slate or even corrugated metal panels, the seams are intentionally exposed, and the fasteners as well. With standing seam, the fasteners are intentionally hidden and capped, which conceals the seams. These capped ridges are the visible, vertical lines on the roof, and are usually between half an inch to one and half inches high. Seams and panels, can be snap-locked. This requires less tools and is easier to install, but is not as reliable as the other method. Field-locked Standing Seam is the more popular method, and requires special (locking) tool to join the panels together. Field-locking of the seams properly requires a certain level of skill and experience and knowing where to situate yourself during the installation, such that your body is not creating useless impact on the panels. The seams and panels are all metal, though the material is regularly chosen based on how the panels will appear. Did You Know? Copper and Zinc are possible choices for Standing Seam. They are much more expensive, and thus rarely used for residential properties. Steel and aluminum are the two main options for metal in the residential Standing Seam market. Both these metals will naturally corrode over time. Which is why we can thank the gods for metallic coating and paint. It used to be that tin, which is highly resistant to corroding, was plated onto steel, as the primary metallic coating. But there are several reasons why “tin roofs” are a thing of the past. Nowadays, G-90 galvanized steel, Galvalume steel and aluminum are the norm. Steel roofs must be coated first with a metallic finish to ensure they hold a coat of paint. 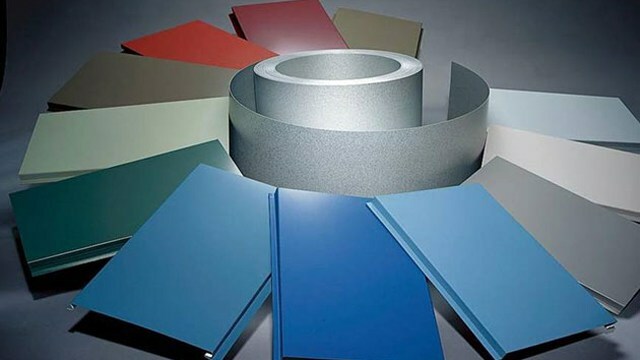 Aluminum doesn’t necessity need such a coating, as it can be installed in mill finish, however most aluminum roofs are also painted, because people like the colors available with metal roofing. How the materials are coated with paint will determine their lifespan. Factory finished with what is known as Kynar 500 or Hylar 5000 paint finish quality is arguably the best way to go. It’s actually less expensive than painting after the installation, since it’s just another run of the metal through the mill, not requiring man hours. Width of panels is another consideration, though the standard range is between a foot and 19 inches. Gauge is perhaps the last option, dealing with thickness of the metal panel. 29 gauge is the thinnest and least costly option in which metal panels are available. The lower the gauge of steel the thicker the metal. For example, gauge 22 steel would be the thickest panel option. For residential applications, the standard is 26 gauge steel. Two Key Facts: The lower the gauge number, the thicker the metal. Secondly, thickness of metal doesn’t affect price too much, but obviously can impact the durability. ROI is excellent for metal roofs, where nearly 87% of money spent on the roof can be recouped and pertains mainly to Standing Seam roofing. This number goes as high as 95% on the east coast of the U.S.